DOUGLAS, Sir HOWARD, soldier, educator, author, inventor, and colonial administrator; b. 23 Jan. 1776 at Gosport, England, son of Sir Charles Douglas* whose naval force relieved Quebec in 1776, and his second wife, Sarah Wood; m. July 1799 Anne Dundas of Edinburgh, Scotland, and they had three daughters and six sons; d. 9 Nov. 1861 at Tunbridge Wells, England. Howard Douglas grew up near Edinburgh under the care of an aunt, Mrs Helena Baillie. Educated at the Royal Military Academy, Woolwich, he passed out as a 2nd lieutenant of the Royal Artillery on 1 Jan. 1794. He commanded the artillery of the northern district of England during an invasion scare in the spring of 1795 and in August sailed for Quebec as senior officer of a detachment of troops on the Phillis. It was wrecked off Little Bay Head, Cape Ray, Nfld, and the few survivors rescued were taken to the fishing port of Great Jervais on Fortune Bay, Nfld, where they spent the winter. After three months in Halifax, Douglas proceeded to Quebec City. In the summer of 1796 he commanded a schooner sent down the St Lawrence by the governor of Lower Canada, Robert Prescott*, to investigate rumours of a French fleet heading for Quebec. 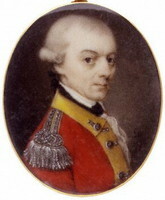 In 1797 and 1798 he served in Kingston, Upper Canada. While in Canada, Douglas formed a liaison with a young lady of Quebec City, by whom he had a daughter. He returned to Britain in 1798 as mate on a trading brig. A letter written to the British secretary of state for war in December 1812, emphasizing the importance of strengthening British naval power on Lake Ontario, reveals Douglas’ continuing interest in the defence of the Canadas and a sound appreciation of the strategic situation. Following service with the Royal Artillery, the Royal Horse Artillery, and Congreve’s Mortar-Brigade, Douglas had been appointed commandant of the senior department of the Royal Military College at High Wycombe, England, in 1804, and afterwards inspector-general of instructions. From this position, which he held until 1820, he influenced a generation of imperial and Indian army officers. He eventually became widely known as a military theorist and teacher. Proficient in mathematics, he wrote on military bridges (1816), fortifications (1819), and naval gunnery (1820), and later on naval tactics (1832), and, after his North American governorship, on naval warfare with steam power (1856). He was also an inventor, notably of an improved reflecting circle or semicircle for land and marine surveying patented in 1811. He became a Fellow of the Royal Society in 1812. Douglas saw further military service as assistant quartermaster-general. He played an important role in the embarkation of the troops after the battle of La Coruña in Spain on 18 Jan. 1809, and took part in directing the artillery attack on Flushing in Holland (Netherlands) later in the same year. From August 1811 to September 1812, in the north of Spain, he helped to co-ordinate the efforts of the British forces with the Spanish regular and guerilla armies. Promotion to major-general in 1821 made Douglas eligible for a colonial governorship. One of the first vacancies was that of lieutenant governor and commander-in-chief in New Brunswick, following the death of George Stracy Smyth* on 27 March 1823. He secured the post with the aid of highly placed political and military supporters, and on 28 Aug. 1824 arrived in New Brunswick to assume his duties. He proved by far the most popular of New Brunswick’s colonial governors. He was charming, fond of talk, and always ready to listen to others, but the roots of his popularity lay deeper, in a contagious optimism which matched the mood of the turbulent, expansive society taking shape in New Brunswick. He had the restless energy and inventiveness of an ambitious man who enjoyed using his enormous powers in the service of a community of which he seems to have become fond and whose future he sought consciously to mould. In 1825, while temporarily commander-in-chief of the Atlantic region of British North America, he visited the main places in his command and toured the outports along the east and north coasts of New Brunswick, which no lieutenant governor had previously visited. This region, at the time a single large county, Northumberland, was enjoying prosperity from the timber trade but suffering from the absence of law and order. Douglas reorganized the local government, naming two new counties, Kent and Gloucester, with shiretowns at Liverpool and Bathurst. In Northumberland, fearing the continuation of “those killer rival feelings” between Newcastle and the town he renamed Chatham, he tried to persuade the local magistrates to accept his policy of promoting the development of one urban centre for the county, in Chatham, a seaport and road junction where a road from Fredericton could join a projected road between Halifax and Quebec. The magistrates, however, insisted on Newcastle as shiretown. A road to the Canadas, he felt, would be needed along the Gulf shore in case of war, and he urged the governor of Canada, Lord Dalhousie [Ramsay*], to ask the assembly of Lower Canada to begin the section from the St Lawrence River to the New Brunswick border. 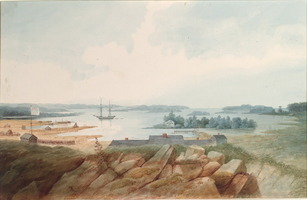 As an inducement he sent the governor a sketch of the “uncommonly fine” site for the town he had named Dalhousie, near where the road would enter New Brunswick. On 19 Sept. 1825 Government House in Fredericton was burned to the ground, and three weeks later, on 7 October, fires burned over 6,000 square miles of forest from the north shore of Miramichi Bay to the Oromocto River valley. Newcastle was destroyed in 15 minutes, and from the villages and farms people fled into the Miramichi to escape the flames; 160 people were killed. Douglas personally directed the fire fighting in Fredericton where 80 houses and stores were destroyed. It was probably then that he earned the awesome respect of the people of New Brunswick. The New Brunswick Courier on 10 Oct. 1825 described him as “our active and indefatigable Governor . . . through whom wonders absolutely were effected.” He sent an agent to Quebec to purchase supplies, launched a public subscription, and toured the stricken Miramichi area while it was still burning. Douglas had begun a reorganization of the provincial militia on his arrival. By 1831, he reported to the Colonial Office, it had 15,708 men, about 11,000 of them armed, all organized into regiments, completely officered, and drilled according to a simple code he had devised; there were two small troops of mounted militia and “three very good Companies of Field artillery.” His successor, Sir Archibald Campbell*, an orthodox old soldier, thought this force of little value, but Douglas’ experience in Spain had bred in him great faith in popular armies. It was a dispute over the ownership of territory lying between Maine and New Brunswick that had led Douglas to try to strengthen the colony in this way. Efforts by British and American commissioners, appointed under the Treaty of Ghent in 1814 to settle the boundary line, had reached an impasse. In 1826 a party led by John Baker raised the American flag in the Madawaska settlements whose French-speaking residents were enrolled in the New Brunswick militia and voted in New Brunswick elections; Madawaska lay astride the route between Fredericton and Quebec City and Baker’s group “opposed the postman in the prosecution of his duties.” In 1827 Baker was apprehended and in May 1828 tried before the New Brunswick Supreme Court; his sentence was a fine and a jail term. There was an outcry in Maine, while in British North America Douglas was acclaimed for his firm action. Years later he stated that if he had received an order to halt proceedings, he would have disobeyed it and resigned his position. Authorities in Washington, including President Andrew Jackson, remarked on the correctness of Douglas’ conduct throughout the affair. The boundary question was eventually referred to arbitration by the king of the Netherlands and in March 1829 Douglas was called to England to act as adviser to the British delegation. His presence at The Hague when the Belgians asserted their independence in 1830 led to his being employed on a secret mission of observation on the Dutch frontier. All areas of New Brunswick life felt the influence of Douglas’ restless activity. Deploring the New England Company’s policy of taking Indian children from their families to be educated, he wanted families kept together, with adequate reserves for Indians who lived by hunting and gathering, and with freehold titles and government encouragement for Indians who farmed. He opposed the sending of Protestant missionaries to the Indians, and wanted the legislature to pay an allowance to enable a Roman Catholic missionary to live among them. He encouraged the establishment of rural schools. He persuaded the province to construct lighthouses on the coast and tried to get interprovincial cooperation for building rescue stations on isolated points. He tramped through the woods around Mount Douglas to lay out a new road between Saint John and Fredericton. Upon both imperial and colonial governments he urged the need for a canal across the Isthmus of Chignecto, a sluiceway around Grand Falls, and a suspension bridge across the mouth of the Saint John River. He supported planned immigration from Great Britain but objected to the British government’s encouragement of pauper emigration which brought large numbers of destitute and unskilled persons to Saint John. He promoted agricultural societies and fairs. In Fredericton new stone public buildings, Government House, King’s College (University of New Brunswick), and a barracks, were built during his term of office [see J. E. Woolford]. The city’s social life was stimulated by the lively Douglas family, some of whom were active water-colour painters. 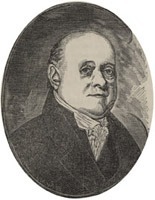 Douglas had been appointed to New Brunswick at a time when Lord Liverpool’s government, spurred on by parliamentary criticism and by permanent officials in the Treasury and the Board of Trade, was adopting a policy of retrenchment and reform, including reductions in parliamentary spending in the colonies and development of centralized Treasury control over colonial revenues and expenditures. Critical of the new economists who looked upon the empire as a burden, Douglas was also convinced that colonial interests were not being sufficiently considered and that the relationship between Britain and her colonies was being undermined. He saw the North American colonies as a source of strength to Britain and as capable of becoming a dynamic federation, escaping the instability he believed inherent in the emerging American democracy. The removal of restrictions on colonial trade in 1825, he felt, might “lead to an Union or Confederation of these Provinces hereafter, under the protection of Great Britain . . . [or] an Union with those States which have already emancipated themselves.” In the same year he protested against a dispatch from the colonial secretary, Lord Bathurst, instructing him to ask the assembly to guarantee the expenses of the colony’s civil government for a ten year period. The small British parliamentary vote, of less than £5,000 a year for the civil government of New Brunswick, was money wisely spent in a colony which cleared 1,100 ships, employing 11,000 seamen, from its ports each year. So long as British officials were paid by parliament, he argued, New Brunswickers did not object to their presence. But dependence of the executive for salaries on assembly votes would greatly strengthen democratic forces and weaken the Council which “operated by keeping a high tone, and a tight hand, upon the Lower House, as well in executive affairs, as in Legislative measures.” Fortunately for Douglas’ relations with the assembly, this issue became theoretical when in December Lord Bathurst withdrew his instruction because of the province’s losses in the Miramichi fire and its expense for a new Government House. In 1827 the Canning government withdrew the parliamentary grant but it was restored, though reduced, by the Wellington government in 1828 and continued until 1830. The Treasury, however, was less aware of colonial susceptibilities than the Colonial Office. In December 1825 it ordered that imperial customs officers in the colonies be paid from colonial funds, rather than receiving fees on ships entering and leaving colonial ports. In 1826 more than £9,000 of revenue were diverted from the assembly to pay these officers at Saint John, St Andrews, and Miramichi. The assembly regarded the salaries as exorbitant and the Treasury action as illegal since the Declaratory Act of the British Parliament in 1778 had required that money raised under imperial trade legislation be turned over to colonial assemblies. Douglas agreed substantially with the assembly, as did Lord Bathurst and James Stephen, legal counsel to the Colonial Office, but they were able to gain only limited concessions from the Treasury. In 1828 Douglas reported correspondence among members of neighbouring assemblies in an attempt to co-ordinate opposition to the British government’s policy – a form of interprovincial cooperation of which he disapproved. In his handling of the volatile assembly Douglas showed a talent for political management. At first he found it to be arbitrary in decision, swayed by American ideas, given to a “quick transition of votes” even on important occasions, and much influenced by private feeling. The assembly of 1827 was more to his liking: “there is here, a loyal and truly British feeling,” he reported to Huskisson, the colonial secretary in May 1828. 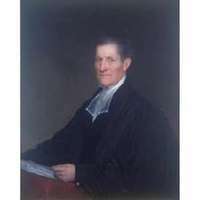 The change in his attitude came about in part from the close relationship that developed between Douglas and Richard Simonds*, speaker in the new house. The leading members of the assembly in 1828 were, Douglas asserted, favourable to making a permanent settlement of the civil list and the customs house salary question and he asked the colonial secretary for permission to negotiate. But the Treasury was not prepared to settle and the issues were allowed to disturb the province for a further seven years. 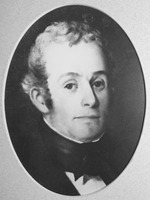 A persistent source of difficulty for Douglas was the power of Thomas Baillie, who had been appointed commissioner of crown lands and surveyor general in 1824. Baillie held a Treasury commission which made him largely independent of the governor in the financial management of public lands, the main source of crown revenue. Baillie was very much in the public view, since his department dealt directly both with the timber merchants and with the settlers. He also made himself conspicuous by his style of living. When Douglas pointed out to the Colonial Office that Baillie’s fees provided an excessive income, Baillie’s office was divided. By 1827 Douglas was complaining of actions taken by Baillie “in defiance of my control,” and warning of protests from the Council and assembly against acts which they pronounced to be illegal and which Douglas called “most indiscreet.” Douglas disapproved of the new land regulations introduced by the Colonial Office in 1827, as placing too much emphasis on public land as a source of revenue to the exclusion of community interests. He favoured planned land settlement with government assistance to settlers, aimed at building a population with the attitudes of English yeomen. He was, however, willing to see large areas sold to companies which would bring capital as well as settlers into the province. He complained about the cost of running Baillie’s department and in 1828 urged the Colonial Office to abolish the post of commissioner of crown lands and restore the control of public lands to the Council. He was also asking for authority to negotiate a surrender of the crown’s control of the timber fund, quitrents, and waste lands to the legislature to ensure a permanent provision for the civil list. 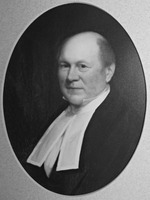 In his dispute with Baillie and in his position on customs house salaries, Douglas clearly identified himself with colonial opinion and spoke firmly for colonial interests. Douglas is chiefly honoured today as a founder of the University of New Brunswick, to which he gave a fund for an annual prize, still presented, the Douglas Gold Medal. Just before his appointment as lieutenant governor, the assembly had passed an act supporting the College of New Brunswick, with the understanding that a new charter would be obtained removing religious tests. Douglas accepted this objective, arguing that a college which was open to all would keep the youth of the province from seeking higher education in the United States and that a single adequately endowed institution was preferable to a number of denominational colleges. But the colonial secretary was pressed by a resurgent ecclesiastical establishment in England to oppose efforts to secularize colonial university education. Douglas proceeded with plans for the college and was active in choosing a site and arranging for a fine Georgian building. The royal charter he presented with a flourish of optimistic rhetoric on New Year’s Day 1829 was, however, far less liberal than the one that had been sought: King’s College, Fredericton, of which he was the first chancellor, was clearly an Anglican institution. Yet his mastery of New Brunswick politics is most clearly evident in his success in persuading the assembly, with its non-Anglican majority, to make grants for the operation of the new college and to pay more than half the cost of the new college building. It is doubtful whether the Douglas magic could have continued to be successful in the tense political atmosphere of British North America in the early 1830s. He was fortunate to be in New Brunswick in the prosperous years 1824 and 1825 when crown revenues were flourishing, and to be serving a colonial secretary who permitted him a good deal of discretion in using those revenues to encourage social development. On 19 Feb. 1831, three months after the Whigs came to power in England, Douglas resigned his New Brunswick position in order to carry on a public campaign in defence of the protection which British North American timber enjoyed in the British market. Douglas published three editions of a pamphlet entitled Considerations on the value and importance of the British North American provinces. When a government bill to reduce the duties on Baltic timber entering Britain was rejected by the House of Commons, Douglas was acclaimed for saving the North American timber trade; in New Brunswick a public subscription was raised to send him a service of silver plate. But in England he was out of favour. His hard line on the Maine-New Brunswick boundary question was unacceptable to the Whig ministers, and he was opposed both to the Reform bill and to the emancipation of slaves. 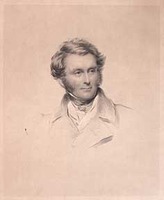 After being an unsuccessful Conservative candidate for parliament in 1832 and 1835, Douglas served as lord high commissioner of the Ionian Islands with command of the troops there from 1835 to 1841. In the islands he introduced a new code of laws based on the Greek model, known as the Douglas code. He served as mp for Liverpool from 1842 to 1847, speaking frequently on military questions and drawing on his North American experience in opposing free trade measures. He continued his scientific studies and speculation, being particularly fascinated by the technical questions of ship armour and the development of propellers for steamships. 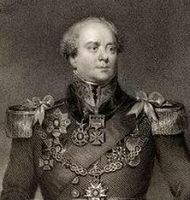 He received many decorations and honours, both Spanish and British, in the course of his career, including cb in 1814, kcb in 1821, gcmg in 1835, and gcb in 1841. Specifically related to the New Brunswick phase of his career was a dcl from Oxford University in 1829. The DNB article on Douglas contains a list of his published works, though one entry, Observations on the proposed alterations of the timber duties (London, 1831), is attributed to Douglas mistakenly. Specifically relevant to North America is Considerations on the value and importance of the British North American provinces and the circumstances on which depend their further prosperity and colonial connection with Great Britain (London, 1831). British Museum (London), Add. ms 40878. General Register Office (Edinburgh), Sir Howard Douglas, letters, 1825–28 (mfm. at PANB). PANB, REX/mi/ex, minute books, 1824–30; REX/px, draft minutes, 1824–30. PAC, MG 23, C6, ser.1, 7–8; MG 24, A3, 1–5; RG 7, G8, B, 6–11, 47–49. PRO, CO 188/29–42; 189/12–13. UNBL, BC-MS, Sir Howard Douglas letterbooks, I-IV. Gentleman’s Magazine, CCXI (January–June 1862), 89–91. G.B., Parl., Hansard, 1842–47. N. B., Council, Journals, 1823–31; General Assembly, Acts, 1823–31; House of Assembly, Journals, 1823–31. Agatha Armour, Lady Rosamond’s secret: a romance of Fredericton (Saint John, N.B., 1878). S. W. Fullom, The life of General Sir Howard Douglas, bart., G.C.B., G.C.M.G., F.R.S., D.C.L., from his notes, conversations, and correspondence (London, 1863). Hannay, History of N.B., I. R. S. Lambert, Redcoat sailor; the adventures of Sir Howard Douglas (Toronto, 1956). MacNutt, New Brunswick. The University of New Brunswick memorial volume, ed. A. G. Bailey (Fredericton, 1950). D. M. Young, The Colonial Office in the early nineteenth century ([London], 1961). W. C. Milner, “Sir Howard Douglas,” Educational Rev. (Sackville and Moncton, N.B. ), XXXV (1920–21), 216–17, 242–44. D. Murray Young, “DOUGLAS, Sir HOWARD,” in Dictionary of Canadian Biography, vol. 9, University of Toronto/Université Laval, 2003–, accessed April 24, 2019, http://www.biographi.ca/en/bio/douglas_howard_9E.html.